Buyers love and trust brands who treat them to a personalized experience, especially if you aren’t a luxury brand. What’s changed since Carnegie first wrote his timeless advice is that automated marketing tools make giving your readers a personalized experience easier than ever. Let’s dig into the three easiest ways to generate “wow” factor reactions from your readers. The first way to wow your reader is to segment your list to send only relevant information to your subscribers. 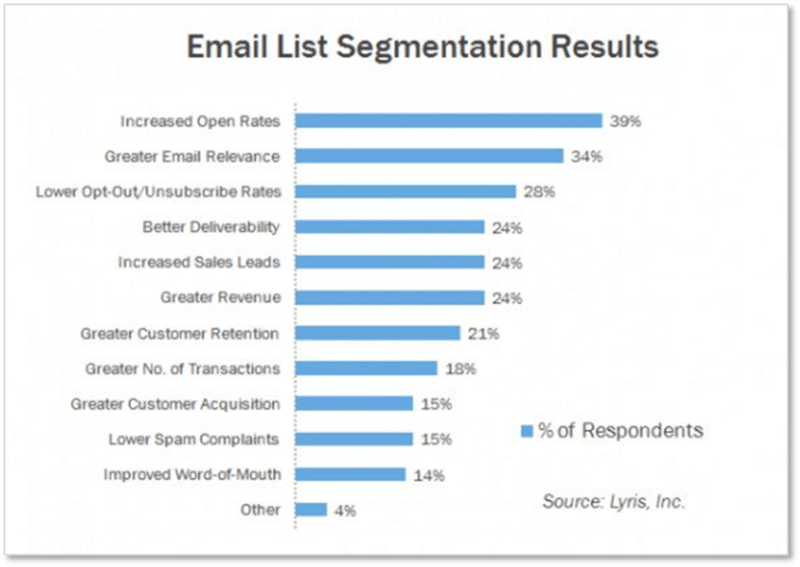 According to a study done by Lyris, 39% of businesses that segmented their list experienced higher open rates, 28% experienced lower unsubscribes, and 24% experienced higher sales. Customize the content of your emails to each segment—even if you just change a single paragraph. Your readers will notice. Automation lets you send the right email at the right time. Yes, an automated campaign requires a small investment of time to initially set-up, but once it’s set up, it keeps on giving 24 hours a day, 7 days week customized to your reader’s schedule. Welcome emails get the highest opens and clicks when they are received immediately so consider starting your automation there. 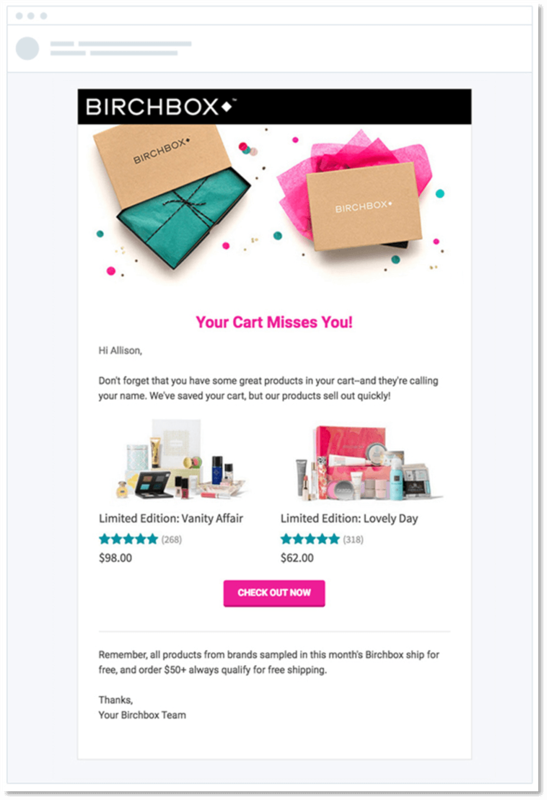 But did you know you can immediately impact your bottom line by automating an abandoned cart email? Just set the email to drop several minutes after your buyer fails to complete a purchase. Maybe they got distracted or disconnected during check out? If so, they’ll appreciate you getting them back on track with a link. To accomplish this, marketing automation platforms, like Campaign Monitor, integrate with eCommerce platforms like Shopify to dynamically send these emails based on triggering events like a shopping cart being abandoned. Marketers can then create workflows that fire off emails based on events that happen and pre-determined timelines. Here is a great example from Birchbox that reminds the shopper they have items in check out that could sell out quickly for a hint of urgency. They also remind the buyer that shipping is free for orders over $50. You can even use automation to keep your email list fresh and engaged. Automate a reactivation campaign to reach out to subscribers who haven’t opened one of your emails in 90 days. 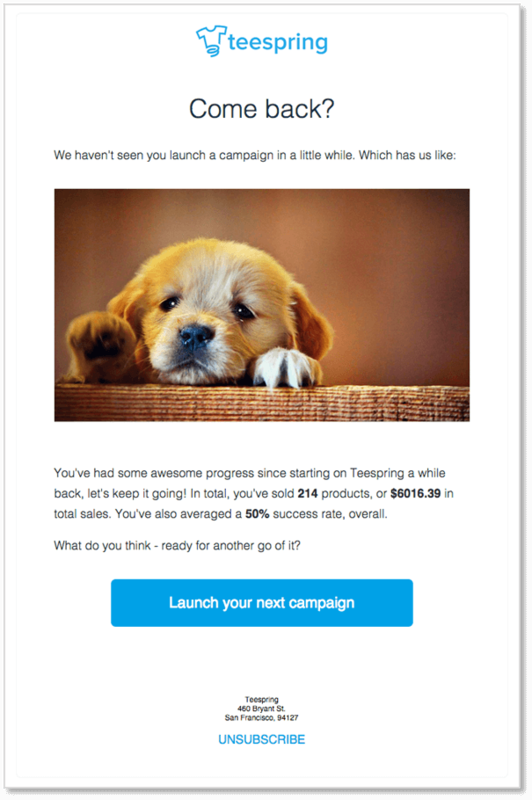 Seriously, who can resist this puppy in this reactivation email from teespring? A more advanced use of automated communications comes from Mumsnet, the largest parenting site in the U.K. If you’re pregnant, Mumsnet will send you an automated newsletter throughout your pregnancy to help you learn about the different stages of pregnancy, based on how far along you are. Mumsnet captures the mother’s due date when she subscribes. Want to increase your open rate by, oh, say… 26%? Then personalize your subject line with your readers’ name. And that’s just the start of what you can do with personalization. Studies show that personalized emails receive six times higher transaction rates. We know that 70% of brands aren’t personalizing their emails. This gap creates a massive window of opportunity for you to stand out with little effort. Beyond personalizing your emails with name and geographic information when possible, the single most important element of your campaign to personalize is your landing page. You can 10X your conversions when your prospect experiences continuity of images and messaging from your ad or email to your landing page and check out. 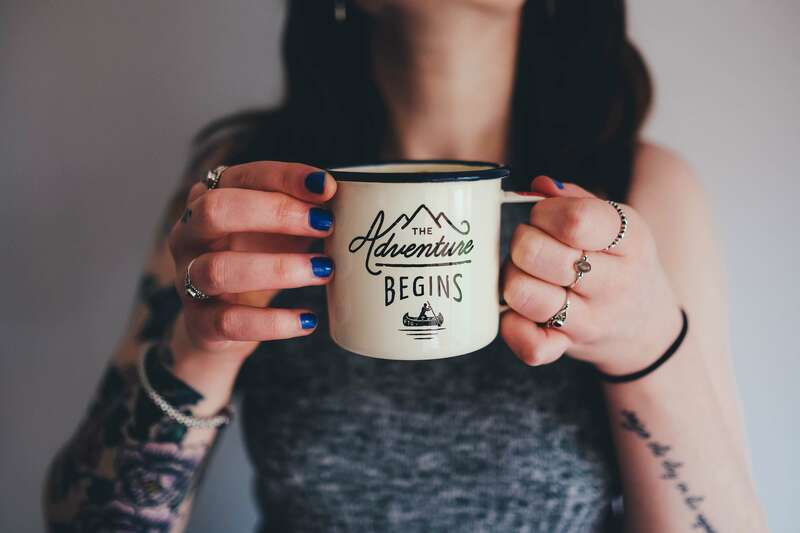 Another fun personalization element can be found with tools like Nifty Images that work with your existing marketing automation platform to increase email campaign clicks through personalized images in your email communication. 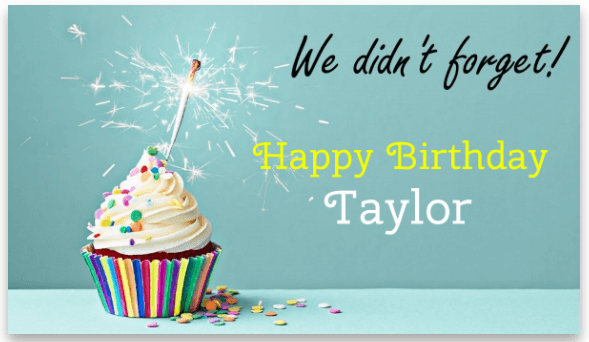 An example might be if you drop a birthday promotion email based on birthday information you’ve collected. This example shows you how the image can be customized with your reader’s first name. Customers are no longer interested in generic content. They want and now even expect to receive personalized content from the brands they follow. These are three easy strategies to implement in your next marketing campaigns to up your “wow” factor and 10X your sales.